Neon Crab Strathroy News: Happy Canada Day!! 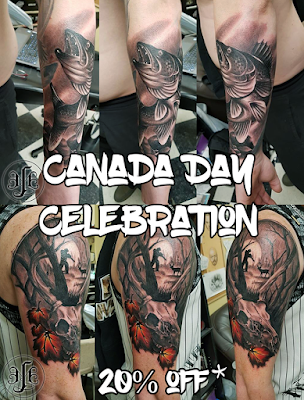 Come celebrate Canada Day at the Neon Crab Tattoos & Piercing in Strathroy all week long with discounted tattoos! 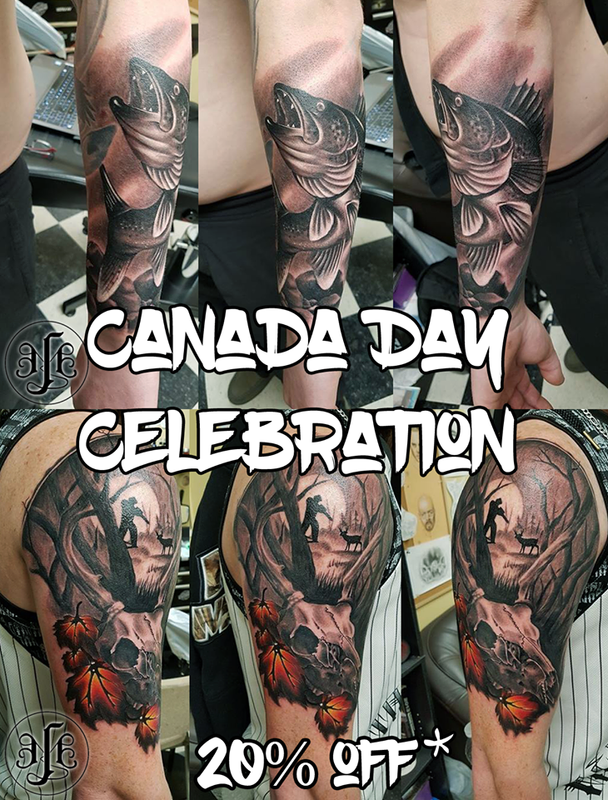 Come on by and get any Canada related tattoo is 20% off* this ENTIRE WEEK, nature scenes, Canadian wildlife, Canada flash art or anything else showing your love for Canada! Appointments are first come first serve! Send me a message or call the shop to book an appointment!